You're right, but if it was a game, I'd probably be having more fun. I suppose it's rather cruel to start off my review of Paintball (the movie, which from here on out shall simply be called Paintball) with such a harsh caption. It's not good, but I did sit through all of it on Netflix (during a free trial, which you should all take advantage of if you haven't already), which is more than I can say for a lot of movies. Although perhaps that was just a product of me wanting to review the film. Anyways, bear in mind that I watched this movie about two months ago, wrote down some shorthand notes about it, and am now writing my review based on those notes at 2 o'clock in the morning. I hear your royalty cheque is in the mail, Doug. First off, if you're watching this movie and planning on guffawing about people not wearing masks to those around you less versed in paintball, you might be a little disappointed. 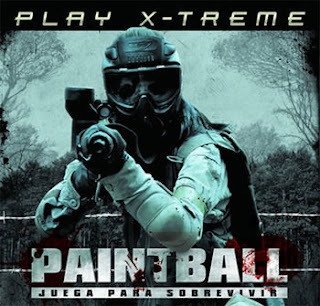 Without spoiling anything, when paintballs are the greatest concern of the players in the film, they do keep their masks on for the most part. Obviously they don't keep them on all the time, as characters with perpetually obscured features aren't particularly conducive to a good film, or one that I'd like to see anyways. So, a couple paintball fanboy realism points there. 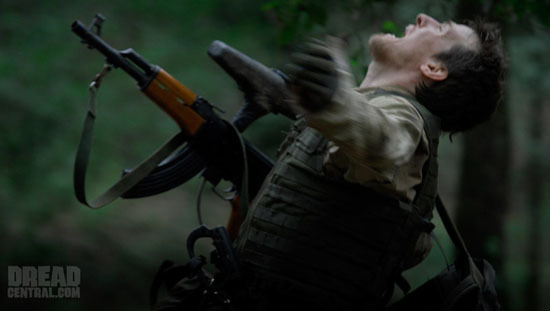 A few more points in that category for the use of actual paintball markers (as opposed to things slapped together by a prop team), with only a couple airsoft guns spotted here and there. 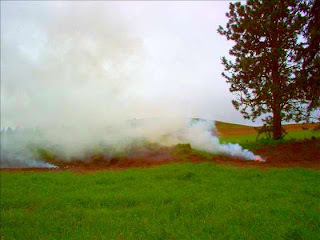 Along with the markers were remote lines, hoppers, and puffs of C02 (this was a largely magic paintball free zone). The plot itself was kind of lame in my opinion, with awkward pacing and an unspectacular ending. The cast themselves were by and large just plain annoying, possibly in an attempt for the viewer to take some enjoyment in them gradually being offed one by one (not really ruining anything, it follows the same premise of any other "oh no, we're a group of 20/30-something not-so-friends stuck somewhere with a bad person and are totally inept at not being killed" movie). The camera work was a bit frantic at times, but definitely tolerable, with nice angles and a couple coolish continuous shots (I'm a big fan of long takes, if you want to see a great one, check this out and then go watch every Tony Jaa movie ever made). Those of you that are picky about colour balances might get a bit annoyed at the filters used. The soundtrack and audio weren't anything to write home about, so I won't. In the end, I think the movie placed too much emphasis on the plot and suspense, as opposed to the action. This is a shame, as the film fails pretty badly at the former, but does pretty well at the latter. Is it worth a watch? Unless you're watching it for free on Netflix like I did, probably not. Person 2, "We didn't get any of those, somebody must have brought them from home! I didn't know we could bring our own stuff blah blah (roughly)"
THANK YOU. Whenever I show up a game and somebody throws up a smokescreen or tosses some kind of ear-deafeningly loud pyrotechnic at my feet, my reaction is always roughly the same. I don't care about the cool gadgets, but next time tell everybody they can bring them, so it's not just the one guy acting like it's the Fourth of July the entire time. Final addendum: While looking up stills of this movie, I stumbled across something very... well disturbing. 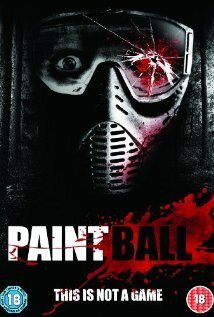 So look forward to a second post about paintball in movies... I'll just leave it at that.